CHAMPION > Johansson & Forsberg, Valla (Walla). CHAMPION > Johansson & Forsberg, Valla (Walla). ^ back to Champion in reg. 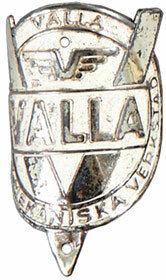 VALLA - WALLA. - Södermanland. Andra cykelmärken från Valla, Walla. Ω Vykort. Andra cykelmärken från Valla, Walla. SÖDERMANLAND. Andra towns, villages./ Sveriges landskap. CHAMPION ..... Johansson & Forsberg, Valla (Walla). PALLAS .......... Eric Andersson, Valla. VALLA ........... Valla Cykel- & Mekaniska Verkstad, Valla. 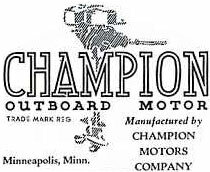 Champion Motors Company began in 1935 when the founders contracted with a tool and press shop to produce an outboard motor. The owners of the production shop later went on to found Scott-Atwater Outboard Motors. 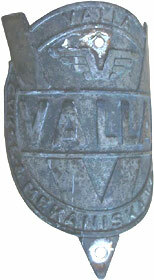 An unrelated "Champion" outboard motor was produced by the Flour City Ornamental Iron Company beginning in 1927 but was in no way related to the later Champion Motors. Champion began selling motors through the Firestone Tire and Rubber Company in 1939. 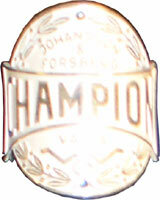 After World War II, Champion secured its own manufacturing facilities but lost the Firestone contract to Scott-Atwater. 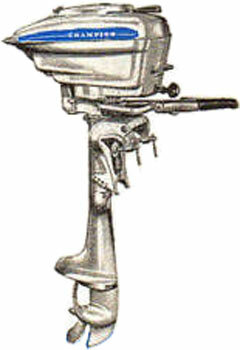 Production continued from 1946 through 1957 with many Champion outboards sold through chain stores and labeled with the store brands such as Voyager, Majestic, and Sea Flyer (sold by B.F. Goodrich). One of the most notable offerings by Champion was the "Tandem 33", a twin pair of 16.5 HP counter-rotating outboards for cruiser and heavy runabout applications. The Tandem 33 was introduced in 1957, the last year of production for Champion. 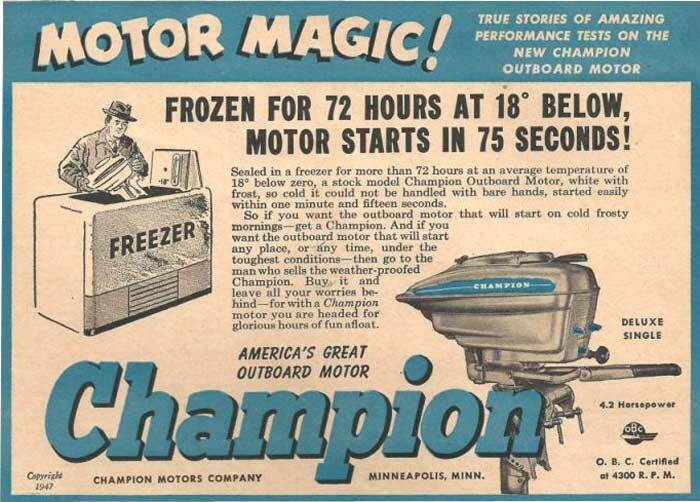 Unlike many competitors, Champion never offered an electric-start option for their outboard motors. The lack of convenient features as well as failure to secure a niche in the cruiser and runabout market probably contributed to Champion's demise. In 1958, the Champion Motors Co. was bought by Western Tool and Stamping Co. of Des Moine, Iowa (March 30, 1958 Chicago Tribune). New outboard motors were not produced.